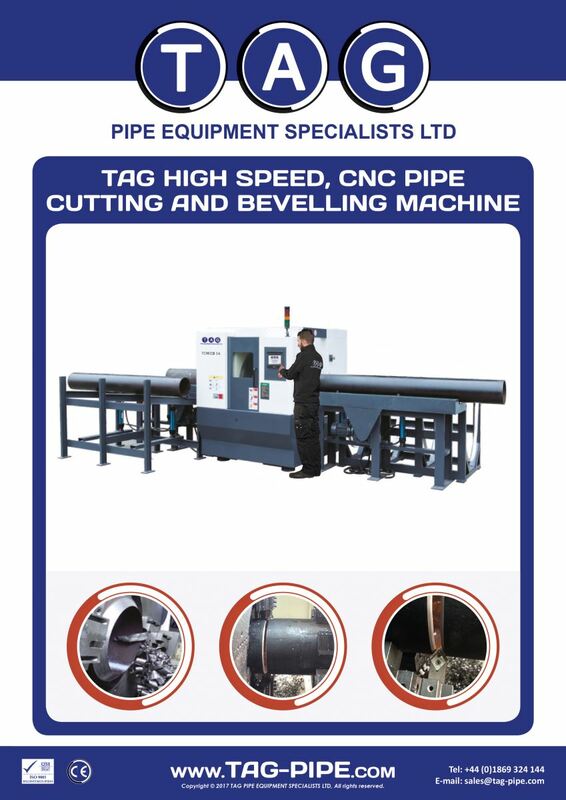 Automated, super fast, CNC operated pipe cutting and double bevelling machine. The perfect machine for bulk pipe work prefabrication. This machine has a fully automated front and back clamping systems, automatic feeding, built in coolant system, all being controlled by a touch screen computer with programmed, easy to use pre-set parameters for all jobs. Automatic height up/down adjustment on the pipe conveyor system to set the pipe to the correct centre height of the machine. All cutting and bevelling operations are CNC controlled, via simple settings on the touch screen. The cutting tool will automatically feed into the cut and bevel and will automatically retract at the end of the cut and bevel. The feed rate of the cutting tools can also be adjusted automatically by the CNC programme, dependant on the pipe diameter, wall thickness and material. 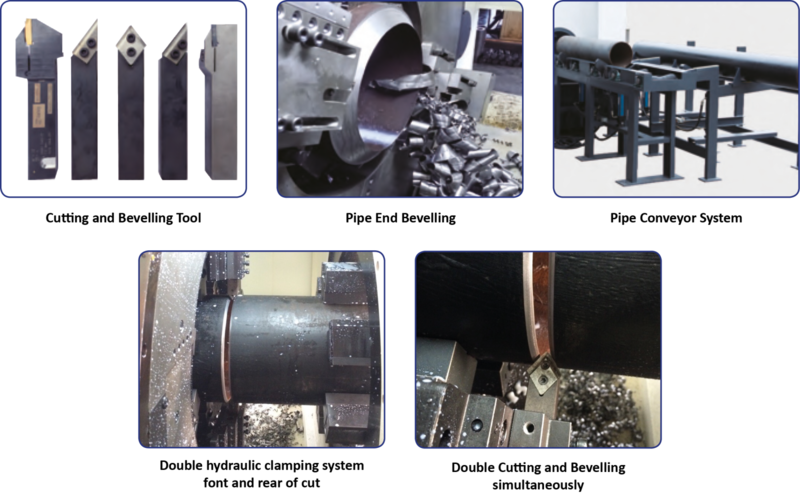 The machine can be used for all materials including super duplex, carbon steel, stainless steel and alloy steel pipes, any angle of bevel can be produced such as ‘U’, ‘V’ and ‘Y’.